Home of the Korean Cheesesteak. Traditional + fusion dishes for eat-in, take-out, or delivery. Jae Sim, or “Mr. KOJA” (as UPENN students knew him as), started Koja Grille in 2003 in a small food truck on 38th Street… the lone truck in between Walnut & Sansom Street. The Koja truck soon became one of the most popular food trucks around the UPENN campus. 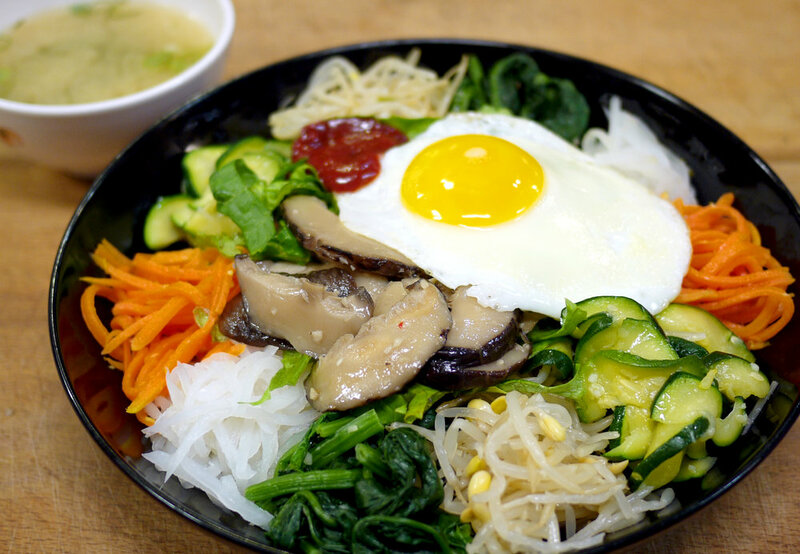 Koja was known for “having the friendliest service” and serving up “some extremely tasty Korean fare.” Some students would dedicate a certain day of the week to Koja. Three neuroscience grad students made Wednesdays, the “Unofficial D Floor KOJA DAY.” Some doctors from blocks away even made trips down to the truck to eat. Waiting for your food at some of the food trucks used to be pretty unpleasant and sometimes even took up to twenty minutes if there was a line. KOJA was and still is the ONLY food truck that has accommodations for their guests… nice IKEA benches, a beach umbrella to block the sun or rain and reruns of “America’s Funniest Home Videos” shown through the glass display (yes, really!). Twenty minute waits just seemed to fly by for most. While Philadelphia is home to the Liberty Bell and First Continental Congress, it says something that its most famous export might be the cheesesteak. Having started as a food truck, Koja Grille has introduced a distinctive Korean touch to the City of Brotherly Love's signature sandwich. 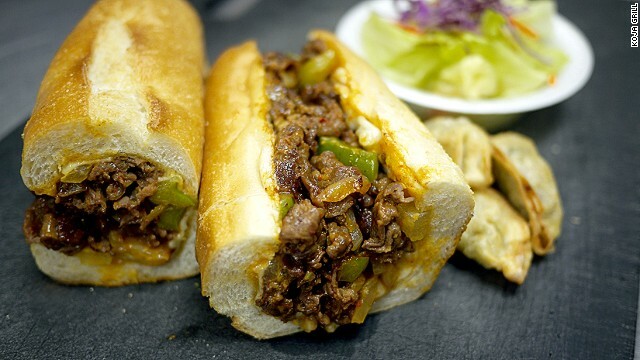 While there are many similarities between the two sandwiches — both use Italian bread, melted cheese, onions and peppers — the bulgogi cheesesteak replaces the traditional chopped steak filling with bulgogi. Devotees of college-campus cheap eats know the Koja truck on 38th Street as one of the better flavor values near Penn. Koja founder Jae Sim, who sold the truck more than a year ago, has gone uptown with his quick-serve Korean and Japanese fare, and settled into a sit-down storefront in the new strip mall across the street from Temple. The menu covers a satisfying range of tasty pan-Asian classics, from bibimbop to build-your-own udon bowls. But the bulgoki wrap sandwich, created for the new store, is an inspired example of Korean-American fusion that should catch on with the student crowd. The hefty wrap comes filled with griddle-fried beef and onions, marinated in a gingery soy and sesame dressing, that tastes something like a Korean steak sandwich. With a final touch of rice, peppers and crunchy romaine inside (which keeps the wrap from going soggy), plus a side of dumplings, all for $6.99, it might be a good enough deal to inspire a switch in campus allegiances. At least at lunchtime. At Koja Grille in Philadelphia — a popular university-adjacent food truck that recently became a brick and mortar restaurant — the classic Philly cheesesteak gets a flavorful Korean makeover.